CRA-W Distinguished Lecture Series is proud to support the upcoming NJWIC. The New Jersey Celebration of Women in Computing (NJWIC) conference is an ACM Celebrations Event that provides a low cost, regionally-tailored, small conference for women in computing. Next year’s conference will be held on April 4th 2018, in Union, New Jersey. Margaret Burnett is currently a professor of Computer Science in the School of EECS at Oregon State University. Her research interests are where programming languages, human-computer interaction, and software engineering meet: namely, in visual programming languages and in how programming language and software engineering research can be applied to support end-user programming. She has a long history of research in these issues and others relating to human issues of programming. She is also the principal architect of the Forms/3 and the FAR visual programming languages and, together with Gregg Rothermel, of the WYSIWYT testing methodology for end-user programmers. Dr. Rebecca Wright is a professor in the Computer Science Department and Director of DIMACS at Rutgers. 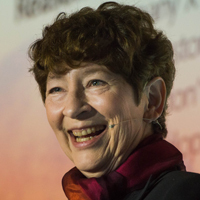 Her research spans the area of information security, including cryptography, privacy, foundations of computer security, and fault-tolerant distributed computing, as well as foundations of networking. Dr. Wright serves as an editor of the International Journal of Information and Computer Security and of the Transactions on Data Privacy, and is a member of the board of the Computer Research Association’s Committee on the Status of Women in Computing Research (CRA-W). She received a Ph.D. in Computer Science from Yale University, a B.A. from Columbia University, and an honorary M.E. from Stevens Institute of Technology. She is a Fellow of the IEEE and a Distinguished Member of the ACM.